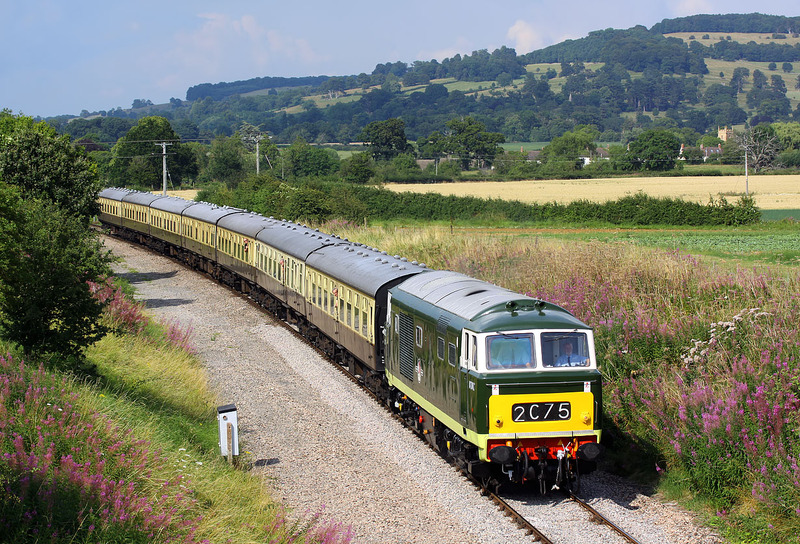 Looking and sounding superb, D7017 passes Hailes on 25 July 2014 with the 2C75 16:40 Toddington to Cheltenham Racecourse service. The loco was making a return visit to the Gloucestershire Warwickshire Railway after an 18 year gap, during which time it has been repainted back into original BR green livery. A perfect choice of visiting traction, as the Hymeks were of course used extensively in the Cotswolds, although they are more generally associated with the Oxford to Worcester line.